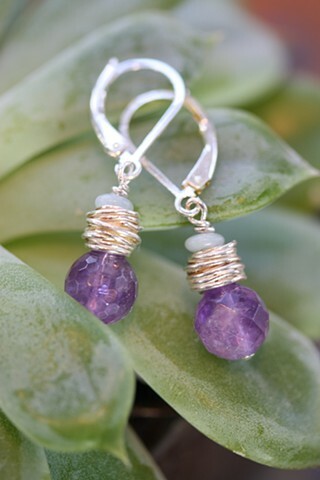 Faceted amethyst rounds with fine silver "nest" cradling small amazonite disc. Sterling lever back ear wires. Approx 1"